At InUnison Design, we create residential and commercial spaces that tell stories. Detailed stories about what is important to you. Colorful stories about the places you’ve been and the memories and treasures you’ve collected along the way. Stories as fascinating as your life and your work. Most of all, we create spaces that function at the highest level of beauty, comfort and efficiency. We have developed a detailed, step-by-step collaborative approach that enables everyone on your team—architects, builders, contractors and craftspeople—to work together as smoothly, efficiently and joyfully as possible. By maximizing your budget wherever possible and minimizing disruption to your life, InUnison Design makes it easy for you to relax and truly enjoy the process of redesigning, renovating or building a space that truly tells your story. Programming – The first and most important step in the InUnison Design process is the fact-finding. We spend time with you, your family or your team, listening as you talk about your life, your habits, your loves, your likes, dislikes, dreams and passions. Schematic Design – The second phase of the InUnison Design process is always exciting, as that’s when the creativity really begins to flow. After drawing up detailed space plans, we develop two general design concepts and color palettes to make sure that we’re correctly interpreting your vision. We then gather an array of beautiful fabrics, paint samples, wall finishes, lighting choices and floor coverings so that you can see how they interact with the light inside your space. Design Development – Once the initial design concepts and color palettes have been approved, the InUnison team swings seamlessly into the design development phase. Working closely with you and your contractor, we’ll create detailed cabinet and tile elevations and determine specific placement for every item, every color and every material in each area. We’ll also help you select all of the many details to elevate your spaces from ordinary to extraordinary. Construction Documentation – Using years of expertise and the latest design technology, we create detailed construction and contract documents that identify and specify all tile, lighting, floor and wall finishes. By giving your contractors exactly the information they need, we create a painless, virtually hassle-free construction process for you and everyone on your team. Project Management & Implementation – As our name suggests, the InUnison Design process is all about collaboration. We find and manage the most talented professionals for every aspect of your project. We arrange site visits and walk-throughs, oversee placement and installation, and provide styling and accessorizing. At every step of the way, every detail will be attended to, so that when you walk into your new space for the first time, everything will be exactly as you’ve dreamed, only more so. We at InUnison Design are honored to have the opportunity to provide the interior design for this pioneer project, Passive House in the Woods. The role of an interior design firm on such a significant endeavor goes beyond a responsibility to the client and the rest of the team; it extends to being accountable to our larger global community. We intend to go beyond being efficient, attractive, on time and on budget. 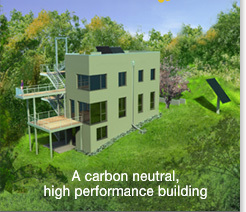 We are working with the entire Passive House in the Woods team to ensure that how our design goals are achieved is done with respect for people and the environment. While we’ve worked on LEED and MN GreenStar projects in the past, we look forward to collaborating on this Passive House and applying what we learn here to our future design projects. There is no point at which we can learn too much about how best to live in our world.